After many years of traveling with my family, I’ve decided that many of our most memorable moments have come from what I call “cheap thrills”. 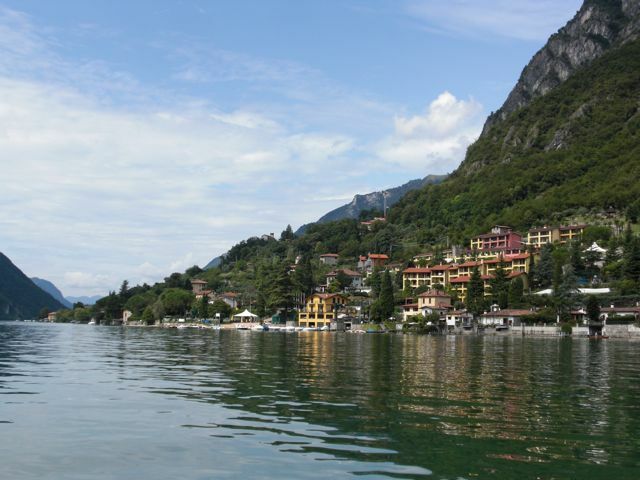 Of course, we’ll never forget our pampered vacation at the lakeside resort of Parco San Marco (Lake Lugano). Booking a room that overlooked the sparkling lake and renting a speedboat — to satisfy my then 8-year old son’s wish of driving one — were not cheap. But, nothing compares to the deep feeling of satisfaction and elation from an activity that is free, or costs little, yet provides memories that will last a lifetime. Gelato everywhere you go in Italy. Go ahead and spoil your kids — let them have a gelato anytime of day. Cheap thrill all day long. We’ll never forget the delicious, refreshing gelatos we bought from a little shop in Menaggio, and licking them as we sat at the edge of Lake Como. Golf cart rental during the last 2 hours of the day. 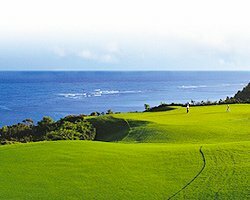 We didn’t use it for golfing (pricey activity), but drove it around to photograph the gorgeous landscaping and views from the Princeville Golf Course. (The golf course makes extra money because early morning golfers have returned their carts by this time.) We actually rented two. My husband and I each drove one with one child, so that they could experience the fun of riding on a golf course in a buggy equipped with a fancy GPS navigation system! Biking in Bali. Bike rentals are really cheap and the stops you make along the way are free. My husband and I parked our bikes to follow the crowds swarming to a festival — we guessed it was a festival because of the colorful banners waving high in the breeze. It was a festival for the traditional tooth-filing ceremony. Wow! Kauai’s canoe club annual fair in Hanalei. Many community fairs do not charge an entrance fee, and you get to hang out with the locals to get that authentic experience. You can watch the races for a bit, go swimming when you’re ready to cool off, and the kids can even participate in a keiki (means child in Hawaiian) obstacle race on shore. 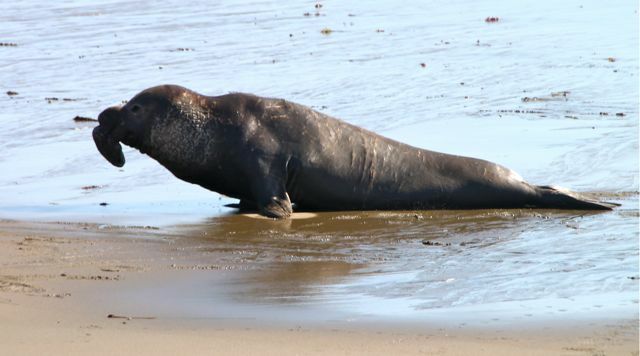 Watching elephant seals in San Simeon, California. Just pull your car over along Highway 1 and park for free. These mammals are HUMUNGOUS and hilarious to watch. Very comical as they clumsily maneuver their 3,000- to 5,000-pound, 15-foot long bodies across the sand, often bulldozing over another one! Every member of our family was so entranced and amused the first time that we went back a second time. Best time to see them is between November and March. Reply to this post and share your cheap thrill on your last vacation. 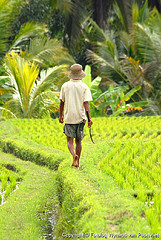 Have you read the New York Times article, “The 45 Places to Go in 2012“? The list includes favorite spots, like London and Vienna. But, I am inspired by the not-so-well-known destinations, like Helsinki, Finland (also appears in Lonely Planet’s “10 of the world’s unsung places”); Puebla, Mexico; Koh Rong, Cambodia; and even, Space! I have to chuckle at that last one…. Have you read the article? Where would you go? Which location would you add to this list? Reply below. Have you ever been faced with the dilemma of whether to book a hotel or a b&b? When is one the better choice over the other? In many places, whether you’re in Venice or Chiang Mai, both are equally good choices. In smaller towns, you might only have b&bs. In the US, most b&bs offer a romantic experience for couples, so are not accommodating to families especially with small children. In Europe, many b&bs are set up for families, with rooms that have triple or quad beds. Busy downtown locations will likely only have hotels. If you are taking a multi-week trip, my recommendation would be to do a combination, so that you balance the charm and hospitality of b&bs with the full-service offerings of hotels. Here are my top selection criteria. Of course, there might be some criteria common to both. For example, there are b&bs with historical interest. – Preference for your favorite hotel chain, like a Marriott or Four Seasons, especially if you have points or have enjoyed these hotels in the past. – Location. For example, if you are in New York for just the weekend and have tickets to a Broadway musical, then you should book one of the big hotels in Times Square. – Historical interest. The Mandarin Oriental in Bangkok has its history dating back to the 1880s when the original hotel welcomed travelers and businessmen involved with trade in Siam. – Workout and recreational facilities. If you need to workout, you’ll need a good fitness room. Or, if you have kids and it’s 95 degrees outside, you’ll need a swimming pool. – Concierge services. Major hotels have concierge desks in the lobby to help you with organized tours. – Preference for a small and relaxed atmosphere. You don’t have to dress up to look presentable for breakfast. The owner greets you with a big smile and seats you at your favorite table. – Independence and flexibility. You’d rather come up with your own choices of what to do that day and where to have dinner, rather than relying on a full-service concierge desk or dining in the hotel’s restaurant every night. – Meeting new people over breakfast. From experience, people we’ve met in b&bs are generally friendlier and happy to get to know you too, especially if you all come from different parts of the world. People you meet are part of the travel experience. – For long stays and with children, is a more cost-effective option, especially with breakfast included. – You enjoy the genuine interest and charm from the owners when asking about your day’s experiences, or if there’s anything else they can help you with. – Fewer rooms mean fewer people, so you avoid the crowds in the lobby, elevator — and at breakfast, especially if you’re in a rush to get your day going — and get more personal attention from the staff. What do you think? Do you have any favorite b&bs? I really do love TripAdvisor. It has become my Bible for travel planning. It is the first place I go to to start my search for accommodations and to refine our itinerary. It works for us, but it’s not for everyone. My family does not have a favorite hotel chain, we like the flexibility of making our own choices of where we go and what we want to see, and we welcome adventures, big and small. I enjoy reading through reviews and don’t mind navigating the site to gain enough information so that I am confident in making my travel decisions. TripAdvisor is not for those who are dependent on ready-made tour packages and itineraries. Nor, have the time and energy to sift through tons of details. It can get mind-boggling. By reading through about 8 -10 reviews, I get a pretty good feel for the hotel or b&b. These reviews are invaluable. They are quite candid and honest, so I am comfortable basing my decision on what I read. And, I have yet to be proven wrong. If there’s a comment that I have a question about, like “The room was large enough to fit our family of 4”, I can send an email to the reviewer and get more specifics. Also, often times, the reviewer will provide more than just comments on the particular b&b. She’ll mention her favorite restaurant near the b&b, a preferred route to the center of town, or where to taste the best gelato in the world. I can then start getting a feel for the location and getting more ideas for our trip. There is a forum for every destination you choose. This is an awesome feature because you can select a forum, then search for a particular topic, like ferry schedule, and you’ll get several discussions on that particular topic. In the end, you might decide that the ferry is not the right thing to do. Or, if you are trying to refine your itinerary, you can search for something general, like Tuscany, and be able to read through suggestions of which towns are most popular. Give TripAdvisor a try for your next trip. Do you have favorite travel web sites? Please reply below. If you don’t have the time to plan your trip, nor desire to manage the details, contact me and I can help you no matter what stage you’re in. It’s not too late for your summer vacation! After you’ve spent many months planning, researching, and finalizing the last detail of your summer itinerary, how will you know whether this trip is one that the kids will remember? Not all trips will be as memorable as you’d want, but this is certainly a reachable goal. After all, our kids will be out of the house before you know it. You can make these trips count. A balance of relaxation with activity. Are your kids really going to let you lay on the beach all day for 7 days? Not! Have a hearty breakfast, take a tour of the town, make a stop for lunch and ice cream, then come back to the hotel for an afternoon dip in the pool and relaaax. Dinner at a restaurant you can walk to, frequented by the locals, might be a nice way to end the day. A sense of adventure. Skip that organized bus tour. Go ahead and ride an elephant today and pet a baby tiger tomorrow. Never zip-lined? Yes, you can do it! Don’t worry that it’s pouring rain on a river raft tour. It’s warm and you can buy cheap, disposable ponchos. about the many generations his family has owned his b&b. The flexibility of getting around on our own. Again, skip that organized bus tour. We drive around so much in the US. 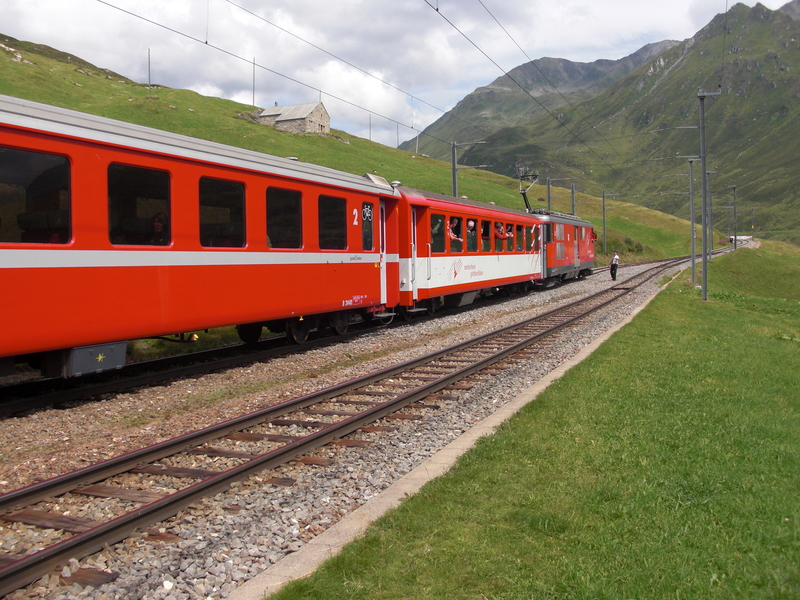 Especially in Europe, taking the tram in Vienna, a ferry down the Danube, or a train through the Swiss alps is the family activity. The journey is the experience. Renting a car for a part of the trip will allow you to pull over, park, and join the crowd hurriedly walking over to their annual town fair. An activity or tour of choice for each member of the family. In this summer’s Europe itinerary, we plan to visit a brown bear orphanage with my daughter who loves animals; a Parmesan factory tour and tasting for my boys who love good food; a model train museum for my husband who began this hobby as a small boy; and a medieval hilltop town for me because I love the vistas and the history. Tell me about your most memorable family trip. What made it memorable? Are you thinking about your next trip and need some help or advice? Let me help you build an itinerary your family will cherish. Contact me.